← Caturday Supplement: More Evie! 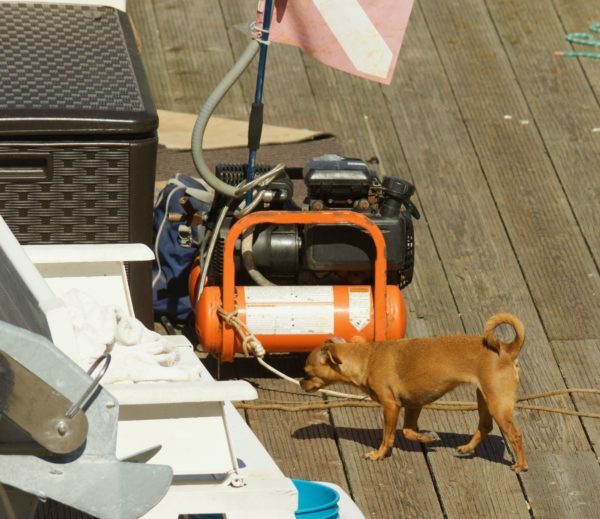 I ran across this pup on my trip down the coast. He appeared to have rather a nice sailboat, and also seemed quite happy wandering onto and off of it at will. 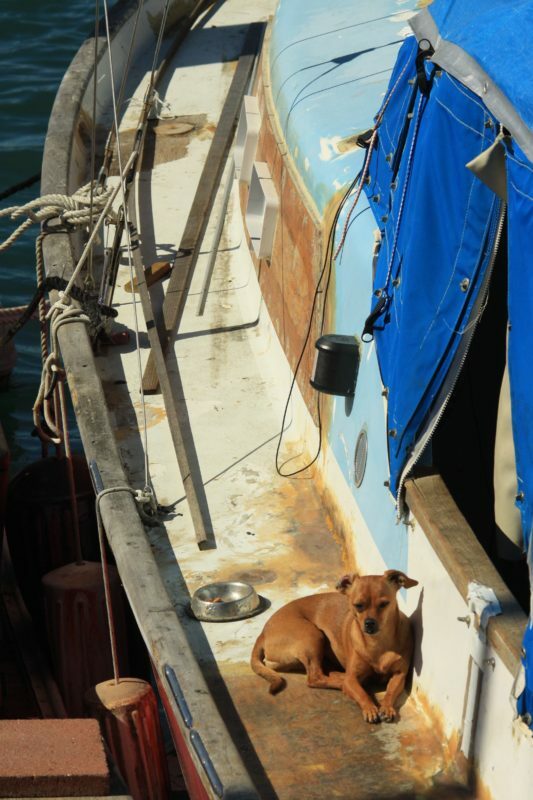 Then he just wandered up on one of the boats and lay down. Seriously. Who puts cigarette butts in dogfood bowls? 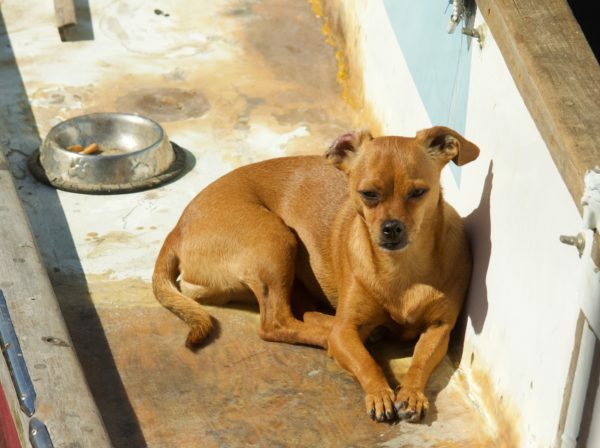 This entry was posted in Dog of the Day and tagged Chihuahua, Mixed Breed, Morro Bay. Bookmark the permalink.